Here in Toronto we have a host of wonderful places to take photos during weddings and the challenge is picking the right location for the feel of the theme the bride and groom have chosen as most places require permit fees to photograph there so you only have one or two chances to get it right. Many people's choice is to have University of Toronto wedding photography as it offers so much in a relatively small space and after the limo has dropped off the bridal party and the newly married couple it is walking distance in between all of the options of Osgoode Hall, Knox College, Hart House, Simcoe Hall, Canadiana Building, Tanz Building and the south and west University Colleges. The groom in this wedding was a graduate of the law program at U of T and wanted to have a photo taken in the beautiful library where he had spent so many hours studying and preparing his mind. So I came up with an idea. At the front of the room was a large table which was elevated above the rest of the room with a large tapestry and two murals behind. 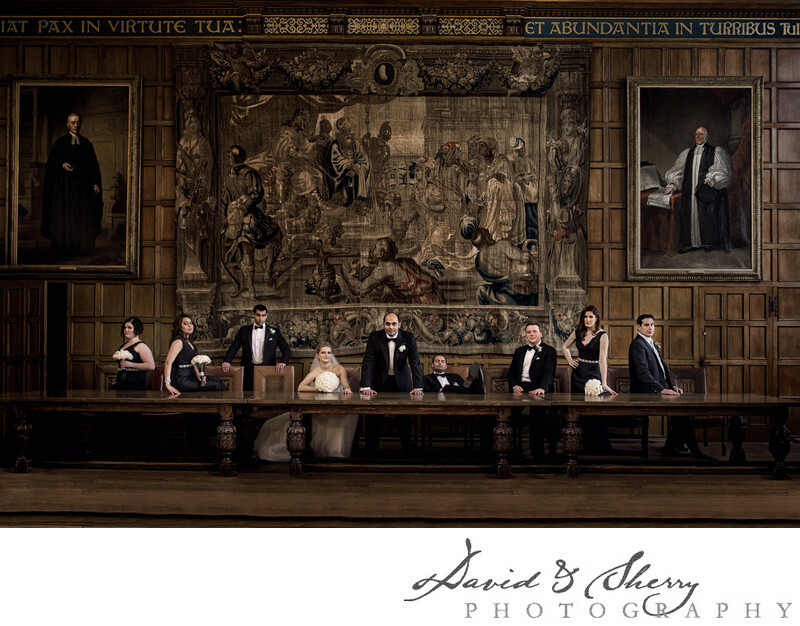 I came up with the idea of a bridal party posed like Da Vinci's Last Supper painting and placed each of the bridal party members and the bride and groom in such a way across the table in a manor which resembles that famous posing in the art work. I love how it came out. 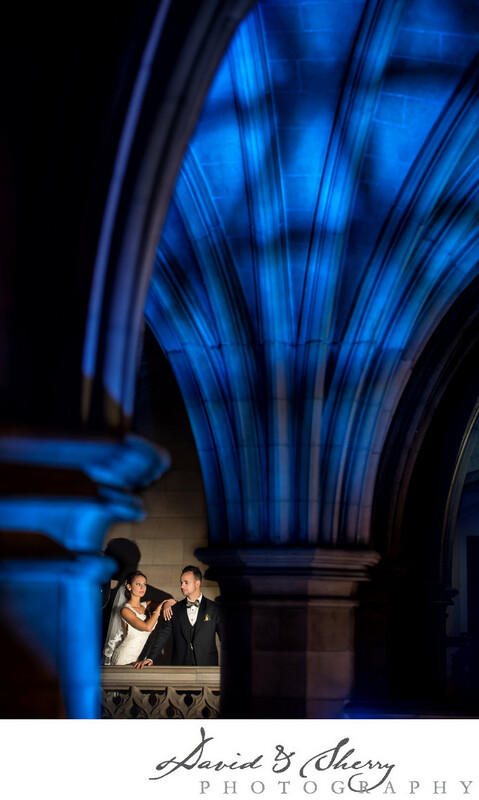 We have many times worked at the U of T taking wedding pictures on the day of and have taken pictures of bridesmaids, groomsmen, parents, family, guests, bouquets, garters, shoes, jewelry, dresses, flower girls, ring bearers, and of course the bride and groom. 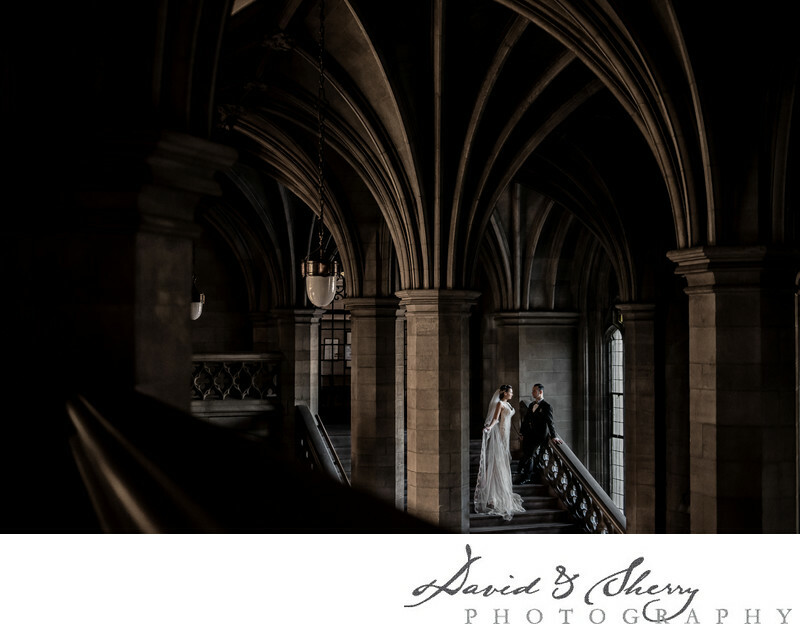 It is always our pleasure to photograph here and look forward to the next time we do. U of T is located in Toronto, Ontario. Location: 27 King's College Cir, Toronto, ON M5S.